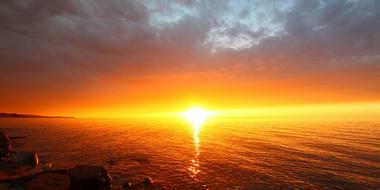 If you love the great outdoors, Ohio is an excellent place to be. The state has been blessed with a beautiful and diverse landscape as well as an incredible variety of plant and animal species. The state boasts hiking trails to suit all ages and abilities. Many of the hiking spots offer other recreational opportunities as well, including lakes for swimming and fishing, picnic facilities, and even golf courses. 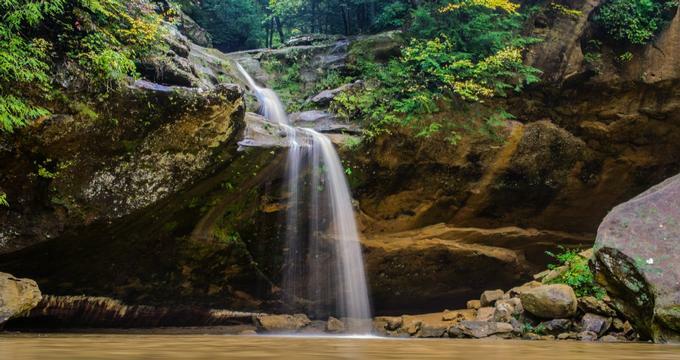 Located right next to the Hocking State Forest, Hocking Hills State Park offers nine hiking trails and two mountain biking trails. The park is known for its spectacular rock formations and waterfalls, all of which can be accessed through the trail system. There are trails to suit hikers of every ability level, and two of the trails are handicap accessible. Anyone wishing to visit the adjacent forest can hike the 6-mile-long Buckeye Trail, which winds through both the forest and the park. There are five picnic areas, and the trails are open dawn until dusk 365 days a year. Located on 132 acres in Huron County, the Augusta-Anne Olsen State Nature Preserve has an excellent trail system open to the public. The Vermillion River runs in a bend around the preserve, and several of the trails offer beautiful views of the Vermillion River Gorge. It is an excellent place to visit in the spring; the area is well known for its variety of birds and its spectacular wildflowers. The preserve is also home to one of the largest sassafras trees in the state, and the river is an excellent place to spot different types of amphibians during certain times of the year. Situated on 957 acres in Licking County, the Blackhand Gorge State Nature Preserve was named for a hand-shaped petroglyph found on a sandstone cliff in the park. Unfortunately, the petroglyph was destroyed in 1828. There are 6 miles of hiking trails for visitors to use, and the highlight of the preserve is a 4-mile-long sandstone formation that was created by the Licking River. There are also plenty of beautiful wildflowers to be seen in the spring. Visitors can take advantage of the 4 miles of bike trails in the preserve; this is the only bike trail in Ohio's state nature preserve system. Before it was acquired by Cleveland Metroparks, the 135-acre Brookside Reservation used to be one of the oldest neighborhood parks in the City of Cleveland. The park is located right next to the Cleveland Zoo, and recreation facilities include baseball diamonds and soccer fields. A paved all-purpose trail runs through the park, which is open to the public and can be used for activities like walking, cycling, or rollerblading. Motorized vehicles are prohibited on the trail. There are also a number of well-equipped picnic areas in the park, many of which can be reserved for large groups or special events. 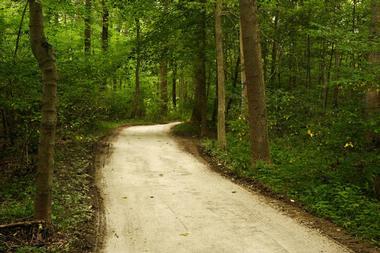 The remote Burr Oak State Park is situated on 2,593 acres in southeast Ohio. Centered around the 664-acre Burr Oak Lake, there are 7 hiking trails in the park, ranging in difficulty from easy to moderate. There are 28 miles of trails in total, and the shortest is 0.4 miles while the longest is 3.5 miles. Three separate trails are also available for horseback riding. Visitors wishing to spend the night in the park have a variety of accommodation options to choose from, including a campground, a lodge, and several cottages. 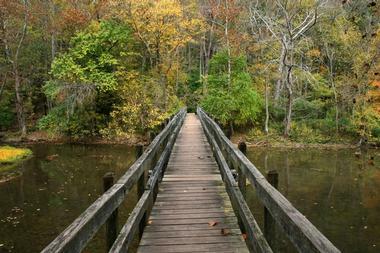 With its 7,900 acres of land, the beautiful Caesar Creek State Park offers a variety of recreational activities. There are 74 miles of trails in the park, including 13 miles of mountain biking trails and 31 miles of horseback riding trails. Hikers are permitted on all the trails, but mountain bikers and horseback riders must stay on their designated trails. The trails vary in difficulty and can be used to access various viewpoints of the lake, Horseshoe Falls, and a 104-foot swinging bridge. Other attractions in the park include a nature center, a marina, and a pioneer village. Created to preserve 553 acres in Fairfield County, Christmas Rocks State Nature Preserve is known for its distinctive Black Hand Sandstone formations and for being home to the rare Bradley’s spleenwort. There are 3 miles of hiking trails in the park, which range in difficulty from moderate to more challenging. The highlight of the park is a 250-foot sandstone formation called Jacob's Ladder, which visitors can climb to get a beautiful view of the foothills in the valley of Arney Run. Due to the diverse habitats the park encompasses, it is also a popular destination for birdwatching enthusiasts. With more than 5,300 acres of land, Clear Creek Metro Park is home to more than 2,200 different species of plants and animals. There are nine hiking trails in the park, adding up to 7 miles in total and ranging in difficulty from easy to challenging. The trails cover a wide range of terrain, including ravines, hemlock groves, and sandstone outcroppings. The longest trail is 2.5 miles while the shortest is 0.3 miles and loops around a prairie. The park also has several picnic areas for guests to use that are available on a first-come, first-served basis. 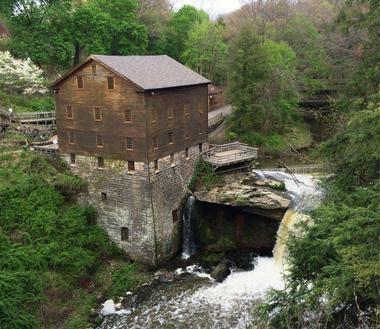 Situated along the Cuyahoga River, the 32,950-acre Cuyahoga Valley National Park is the only national park in Ohio. The park offers 125 miles of hiking trails passing through a variety of habitats, including wetlands, forests, and old farmland. The Ohio & Erie Canal Towpath Trail is one of the most popular; it is 19.5 miles in length, has ten trailheads, and is accessible to nearly all visitors. Other trails are more challenging and will require hikers to cross streams on stepping stones or log bridges. Trail maps can be obtained at one of the park's visitor centers. Located just outside the town of Yellow Springs, the Glen Helen Nature Preserve is a 1,000-acre piece of land that has been a National Natural Landmark since 1965. There are more than 20 miles of trails in the park, which visitors can explore from dawn to dusk 365 days a year. Points of interest that can be accessed via the trail system include limestone cliffs, waterfalls, and a Hopewell Indian mound. Guided hikes are sometimes offered, and visitors wishing to hike alone can obtain a trail map from the Trailside Museum in exchange for a small donation. 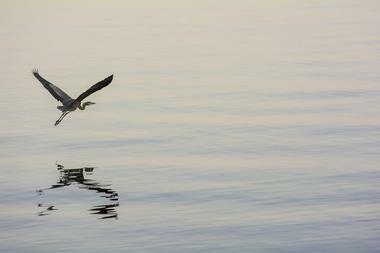 Situated on 1,862 acres of land, the Great Seal State Park lies upon the Appalachian escarpment. 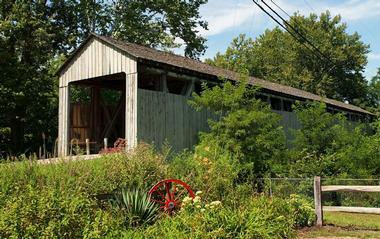 It was named for having the image of its rolling hills on the Great Seal of the State of Ohio. There are 11 separate trails in the park totaling 23 miles; two of these trails are reserved exclusively for hikers. The other trails can be used by hikers, mountain bikers, and equestrians. The terrain on the trails varies, but some of it is quite steep and it is recommended that hikers on these trails are reasonably well conditioned. Two picnic shelters are available for visitors and can be booked in advance. The Arc of Appalachia Preserve System is a non-profit organization dedicated to protecting America's Great Eastern Temperate Forest. The preserve has saved more than 4,200 acres spread out over 15 reserves, six of which are open to the public. The largest and oldest of these is the 2,200-acre property known as the Sanctuary, which is home to the beautiful Rocky Fork Gorge. Other highlights of the various preserves include the ancient earthworks at Fort Hill and Junction Earthworks, the prehistoric effigy mound at Serpent Mound, the spectacular wildflowers of the Chaparral Prairie, and the hiking trails at Chalet Nivale. 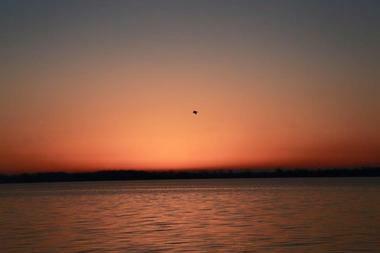 With its beautiful location on the shores of Indian Lake, the Indian Lake State Park is a popular destination for watersports. However, the 800-acre park has several easy trails to keep hikers entertained as well. The 3-mile-long Cherokee Trail offers an easy walk through the underbrush, and there is a second 3-mile-long trail that is paved and ideal for cyclists. The 1-mile-long Pew Island Trail can be accessed by a causeway; it circles Pew Island and offers beautiful views of Indian Lake. Eight well-equipped picnic areas can be found throughout the park and can be reserved for a fee. 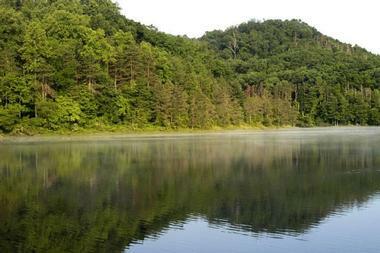 Spanning 752 acres of land, the John Bryan State Park is often called the most scenic park in Ohio. The highlight of the park is Clifton Gorge, which is a deep limestone gorge carved by the Little Miami River and designated a National Natural Landmark. Eleven hiking trails can be found in the park, ranging in length from 75 yards to 2 miles. Several of these trails are handicap accessible, and two are open to cyclists. There are also four picnic areas in the park as well as 9.7 miles of multi-use trails open to mountain bikers. 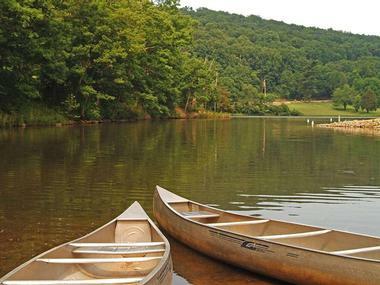 The 2,983-acre Lake Hope State Park is situated inside the Zaleski State Forest and is characterized by thick forests, narrow ridges, and steep canyons. As the name suggests, the park is centered around Lake Hope. Seven different hiking trails can be found throughout the park, almost all of which are of moderate difficulty due to the steep terrain. The shortest trail is 0.4 miles while the longest is 3.2 miles, and there are also eight trails in the park meant for mountain bikers. Other amenities in the park include a swimming beach and nine picnic areas. Located on 2,019 acres in Jackson County, the Lake Katharine State Nature Preserve is home to the largest populations of bigleaf and umbrella magnolia trees in the state. Spring is an especially good time to visit as the park also harbors a diverse range of beautiful spring wildflowers. 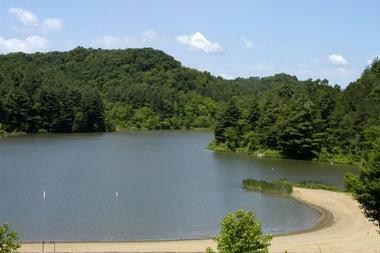 The centerpiece of the park is Lake Katharine, a beautifully clear lake surrounded by lofty sandstone cliffs. A watercraft permit is required to go on the lake, but visitors can still enjoy the area by using the 6 miles of hiking trails that can be found in the park. Formerly the farmstead of the Lamping family during the 1800s, the Lamping Homestead is now a beautiful and remote recreational area that offers plenty of opportunities for camping, fishing, and wildlife viewing. There are two hiking trails in the park; both are loops, and one is 3.5 miles and the other is 1.5 miles. Visitors to the park can also enjoy lunch in the park's picnic shelter or at one of its eight picnic sites. The park is open every day between mid-April and mid-December, and entry is free of charge. 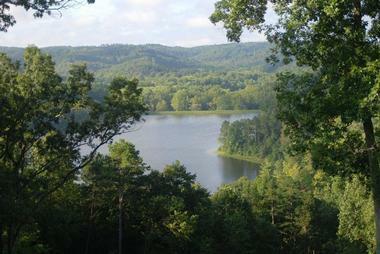 Established in 1891, Mill Creek Park encompasses 2,882 acres of land. The park is home to a 12-acre garden, a golf course, an educational nature center, a lily pond, and three man-made lakes. 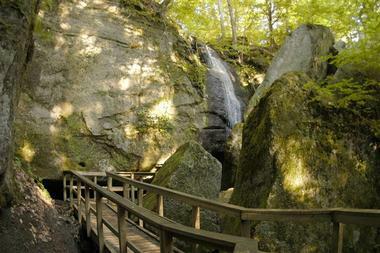 There are 15 miles of walking and hiking trails in the park; one of the most popular is the award-winning Gorge Trail. This 2-mile trail consists of a boardwalk that runs along the sandstone wall next to the stream, looping around Mill Creek. There are also several trails in the Ford Nature Center, some of which include interpretive signs. The 1,110-acre Mohican State Park is surrounded by the Mohican-Memorial State Forest and is home to a wide range of plant and animal species, including the rare walking fern. The Clear Fork of the Mohican River runs through the park, and over time it has cut through the sandstone to form the stunning Clear Fork Gorge. The moderately difficult 2-mile-long Lyons Fall Trail winds along the gorge and offers the opportunity to see two waterfalls. There are also five other hiking trails in the park, ranging in difficulty from easy to challenging. Together they total 13 miles. Although only 167 acres in size, the Nelson Ledges State Park offers plenty of spectacular rock formations and the opportunity to see a diverse range of wildlife. There are four designated hiking trails in the park; one is easy, two are moderate, and one is difficult. The trails allow visitors to access the unique rock formations in the park, and some of the more challenging ones will require visitors to climb over rocks and boulders. There are many unmarked trails in the park as well, but hikers are asked to restrict their activity to the marked trails. Located on the site of a former family farm, Quail Hollow State Park consists of 701 acres of land and a 40-room manor. A variety of different habitats can be found in the park, and an interpretive walking trail runs through each one. There are seven such trails, and all are rated as easy. The park also includes a mountain biking trail, an equestrian trail, and a 2,000-foot paved trail designed to be accessible to everyone. Visitors to the park can also take advantage of one of four picnic shelters, the fishing pond, and the children's playground. 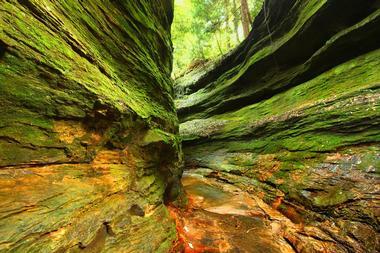 Sometimes called ‘The Little Smokies of Ohio’, the 63,747-acre Shawnee State Forest is the largest state forest in Ohio. Some sections of the forest are used for logging, research, and other activities, but almost 8,000 acres of land have been designated as a wilderness. There are plenty of opportunities for recreation in the forest, including 60 miles of backpacking trails and 60 miles of trails designed to be used by both hikers and horseback riders. There are also 58 campsites throughout the area for visitors who want to spend a longer time in the forest; all campsites are free of charge. Situated on 1,705 acres of land, Slate Run Park encompasses a diverse range of habitats, including grasslands, wetlands, and forest. The park is an excellent place for wildlife viewing as it is home to a wide variety of species, including the sandhill crane and the northern bobwhite quail. Nine hiking trails can be found in the park, ranging in length from 0.4 miles to 2.5 miles. Many trails are made of gravel, but the terrain of some also includes grass, dirt, and boardwalks. There is also one paved trail that leads to Buzzard's Roost Lake. Located in southeastern Ohio, the Strouds Run State Park consists of 2,606 acres of hardwood forest and the 161-acre Dow Lake. 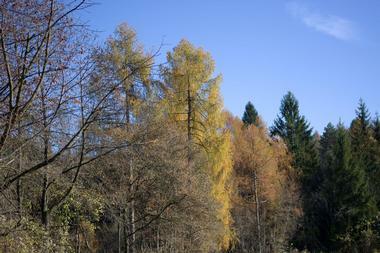 Six hiking trails can be found in the park; many offer excellent views of the lake and most are of moderate difficulty. There are also ten equestrian trails and 15 miles of mountain bike trails that meander through both the state park and an adjacent city park. All of these trails are open to hikers as well. Other activities possible in the park include hunting, fishing, swimming, and picnicking at one of the park's three picnic areas. 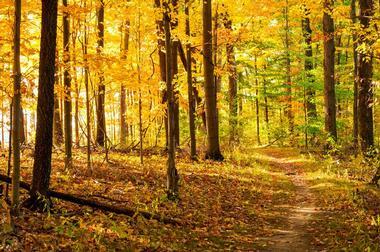 With its 26,827 acres of land, the Zaleski State Forest is the second largest state forest in Ohio. One of the main attractions here is the Zaleski State Forest Backpack Trail, a 28.8-mile-long loop that was created to familiarize visitors with different educational and historical aspects of the forest. A shorter option is a 10-mile day loop that leads to various points of interest in the area. The forest is also home to several more hiking trails of varying lengths, 45 miles of horseback riding trails, and 16 camping areas for visitors wishing to spend the night.